Spouses and dependents of Caribbean Community (CARICOM) nationals, who relocate to other Member States, will now be entitled to access benefits such as health and education services, which were not previously afforded to them. 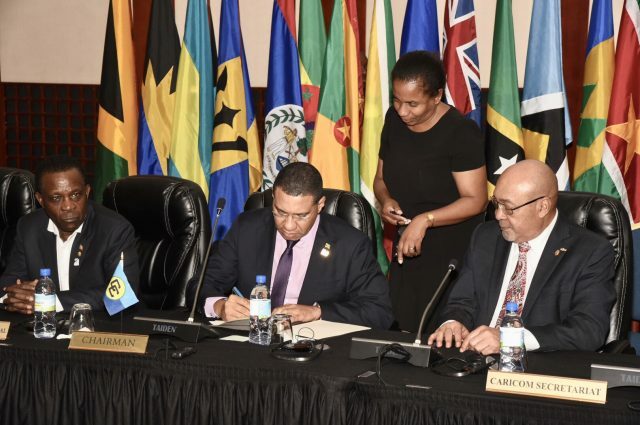 Jamaica is among six CARICOM countries that have agreed to facilitate the benefits with the signing of the Protocol on Contingent Rights on Friday (July 6). The others are Barbados, Haiti, Suriname, St. Lucia and Grenada. 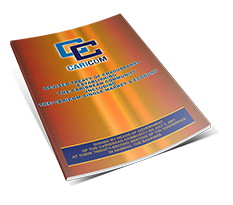 The signing took place on the final day of the 39th Regular Meeting of the Conference of Heads of Government of CARICOM, which was held at the Montego Bay Convention Centre in St. James from July 4 to 6. Addressing a press conference after the signing, Prime Minister and CARICOM Chairman, the Most Hon. Andrew Holness, said the move is a crucial step in making CARICOM more functional and relevant to the people of the region. Barbadian Prime Minister, Hon. Mia Mottley, welcomed the initiative, describing it as a fundamental development since the introduction of the CSME. The meeting of CARICOM heads was chaired by Prime Minister Holness. Among the key agenda items were crime and violence, disaster management and climate change, and the CSME.